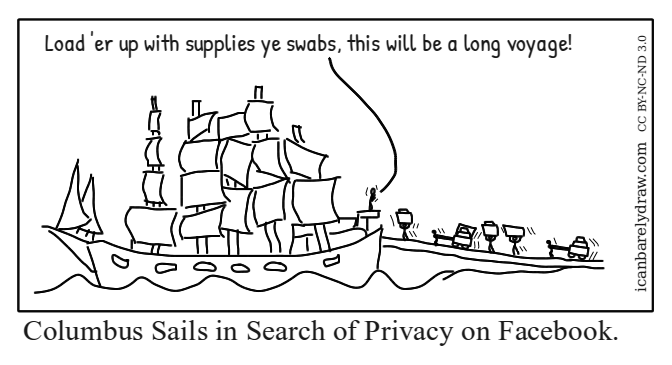 Columbus Sails in Search of Privacy on Facebook. Voice: Load 'er up with supplies ye swabs, this will be a long voyage! Title: Columbus Sails in Search of Privacy on Facebook.